We are sad to be informed from Tamiya UK that the current president of Tamiya and son-in-law of Mr. Shunsaku Tamiya, Mr. Masayuki Tamiya, passed away at the age of 59 after a long battle with illness on May 1st, 2017. 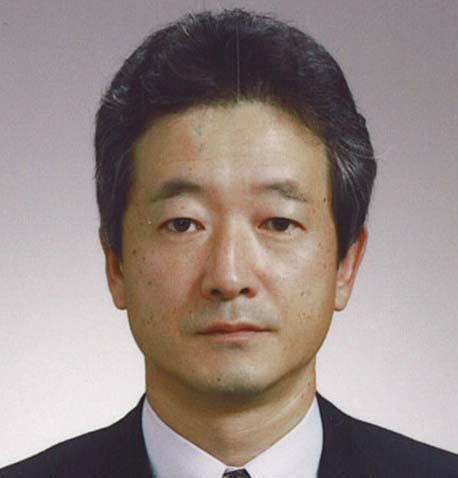 Mr. Masayuki Tamiya had worked for the Tamiya company since 1990, since 2004 as Senior Executive Director and was handed over the presidency of the Tamiya company from Mr. Shunsaku Tamiya in 2008. He was a very enthusiastic modeller and ensured that the choice of subjects and the quality remained as good as ever. At TamiyaBlog we would like to express our sincere and strong condolences to his family and the Tamiya Company. This entry was posted in Tamiya Company on May 12, 2017 by admin. My sincere condoleances to the Tamiya family with this terrible loss. He will be missed by all who met him as well as many model builders who knew his work in model making and RC design. I am so sorry to hear of his passing. Prayers to family and friends . A wonderful gentleman whose loss is profound. My condolences to the families affected and to everyone at the Tamiya. Mr Tamiya will be missed by all in the modeling community. Condolences, peace and strength are offered to the family. Sorry to hear about your loss may he rest in peace. My thoughts and prayers are with his family. Very sad to hear of Mr. Tamiya’s passing. Its so sad this notice for your friends from México, rest in peace Mr. Tamiya. I love Tamiya models. You will be missed. Rest in ☮️. My most sincere condolences to his family and all TAMIYA staff. He will be missed. Deepest sympathies from Malta. It sad to lost a fine person so enthusiastic like Mr Masayuki Tamiya may he rest in peace. My condolences to his family and the Tamiya Company. I was one of four winners of TamiyaCon USA in 2002 and Mr. M. Tamiya accompanied us on our trip through their Shizouka headquarters. Very passionate about the hobby and proud of the company and employees. R.I.P. I’m sorry so much. Please accept my deepest condolence. Sad to hear, sorry for your loss. Tamiya has been in my life for 40 years from static models through to their rc range. Mr Masayuki Tamiya will be sadly missed and yet another person taken well before their time. Our thoughts are with the family, may you rest in peace. So sorry to hear of your loss of a man who brought happiness to millions of modelers. Rest in Peace Mr. Tamiya-san. I’ve enjoyed your products immensely. And, I hope to enjoy them with you in Paradise. Sorry to hear of Mr. Tamiya’s passing and wish the family and friends the best of life as they carry on. Hopefully,k the dedication to quality of the company will remain as high as it has been for so long. We modelers deeply appreciate the high quality of the entire lines of products. Sincerely, George Campbell, Pensacola, Florida USA. Rest in peace, thank you for giving us endless weeks of fun, entertainment and leisure with your products. Sincere condolences to both members of the Tamiya Family And Friends of Mr Masayuki Tamiya upon his passing. His passion to the hobby is borne out by the untouchable quality of the Tamiya product line. Rest in peace Sir and thank you for the joy you have brought to those who enjoy our hobby. Our deepest condolences to the family of Mr. Tamiya, from of the modellers who admiref Tamiya products so much. Our deepest sympathy for your loss. Tamiya is a household name amongst us modellers and the passing away at such a young age is such a tragedy. May he rest in peace. sorry for your loss but i am grateful for his time here on earth and the fun his kits provided for me and my friends. tamiya kits have always been fun to build and i’m sure that whoever follows mr. tamiya, that person will continue this legacy. god speed. My sincere condolences to the Tamiya family, and thank you for the decades of enjoyment I have had building Tamiya kits. I’m currently building an original 1974 release of the M3 Grant, with the usual impeccable fit and engineering, even with the extremely challenging angles and shapes of the upper hull of that vehicle. My deepest sympathy also to the Tamiya Family. I have been a collecter of your kits since early 1986, and still continue to buy the best-Tamiya. My condolences to Mr Tamiya , and his Family, and to the Tamiya Corp.
My deepest sympathies to the Family and Friends and Staff at Tamiya…. Mr. Tamiya was a great man of many talents and also very kind. He also had a wonderful sense of humor. He will be missed. My condolences to the Tamiya family and all who knew him.